Databases are now an integral part of the internet and many web sites use databases in the background to control their content. MySQL is one of the most commonly used open source database management systems. Due to it's bundling with PHP, MySQL has proved a popular choice for many sites as it enables a database driven, content managed website to be set up with little or no software costs. 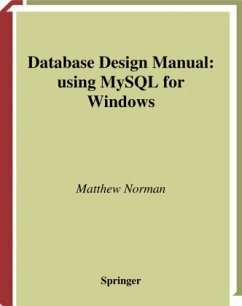 This book will show you how to design and use databases for the web using MySQL as a tool to learn SQL. Key Topics Installing and testing MySQL SQL basics, and using SQL to communicate with databases Database design techniques and concepts Using MySQL with PHP, Apache and Perl How to make other products communicate with MySQL Features and Benefits. Gives an insight into how databases work in relation to the web. Introduces general SQL techniques by means of MySQL. Explains the concepts behind a structured query language and how it can be used to communicate with databases. Provides an introduction to database design and how an efficiently designed database can improve the performance of MySQL. Essential SQL fast provides a comprehensive guide to SQL, using the Windows-based version of MySQL. MySQL is a freely available, multi-platform database management system, making it ideal for learning the techniques and concepts of database design. 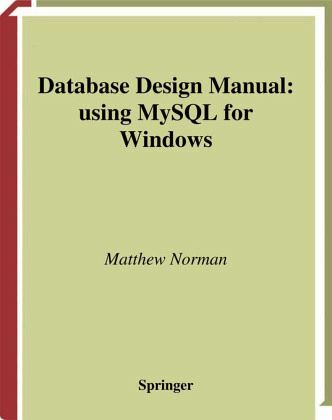 Using numerous worked examples and illustrations, Matthew Norman describes how to set up the database management system MySQL. In doing so he covers various topics, including: installing and testing MySQL; using the graphical tools; database design techniques and concepts; retrieving, changing and deleting data; and how to make other products communicate with MySQL.